There is one Wells Fargo ATM located (pre-security) in the Main Airport terminal. Avalon Aeropub is a full service bar and restaurant with quickly available food choices. The Aeropub is located post security, in the passenger boarding area, on the 2nd floor Mezzanine Level. Passengers can relax before departure, take in the stunning high desert scenery, and enjoy a convenient meal. The Aeropub serves breakfast, lunch, and dinner including appetizers and food that is fast and satisfying. All ages are welcome to enjoy a snack or a meal. 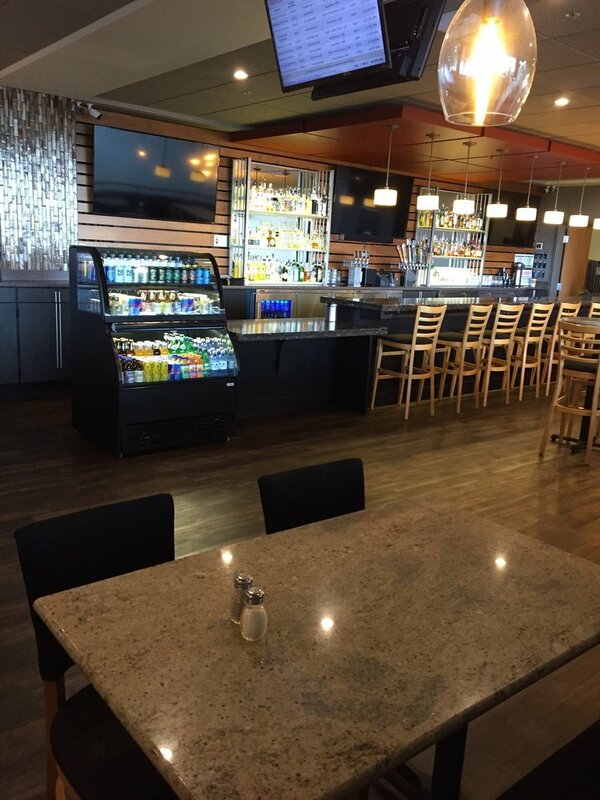 Because the Central Oregon region is a mecca for microbrews, Avalon Aeropub also offers a number of local favorites on tap, as well as Oregon wines by the glass and a full bar for those who are 21 and older. 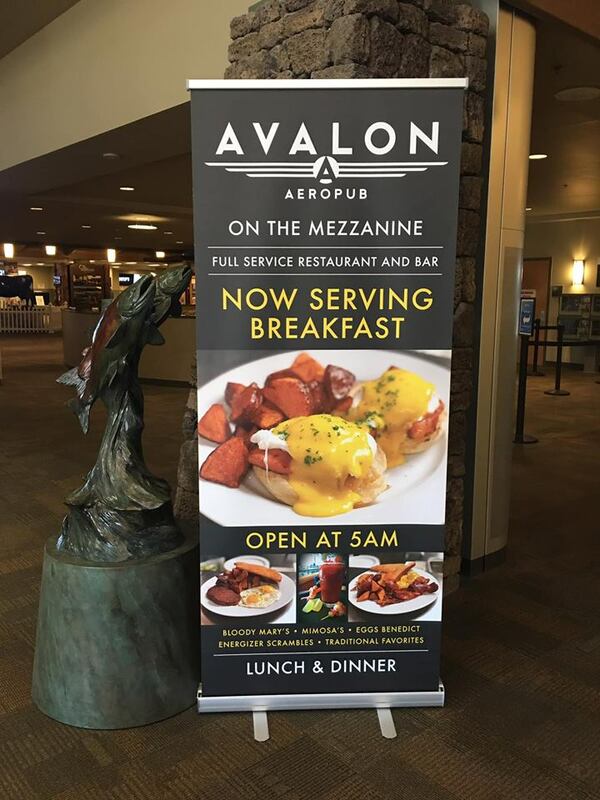 Avalon Aeropub is NOW OPEN FOR BREAKFAST 5am to 10am! Lunch and Dinner served 10am to half an hour past the last scheduled departure of the day. Dancing River Marketplace/Cafe has two locations, one pre-security, in the main terminal lobby and the other post security, in the passenger boarding lounge. Dancing River provides a wide variety of snacks, organic coffee, soft drinks, reading materials, gifts, and local specialty items. The first children's area is located Pre-Security Screening, near TSA security screening checkpoint and adjacent to the Baggage Claim area. 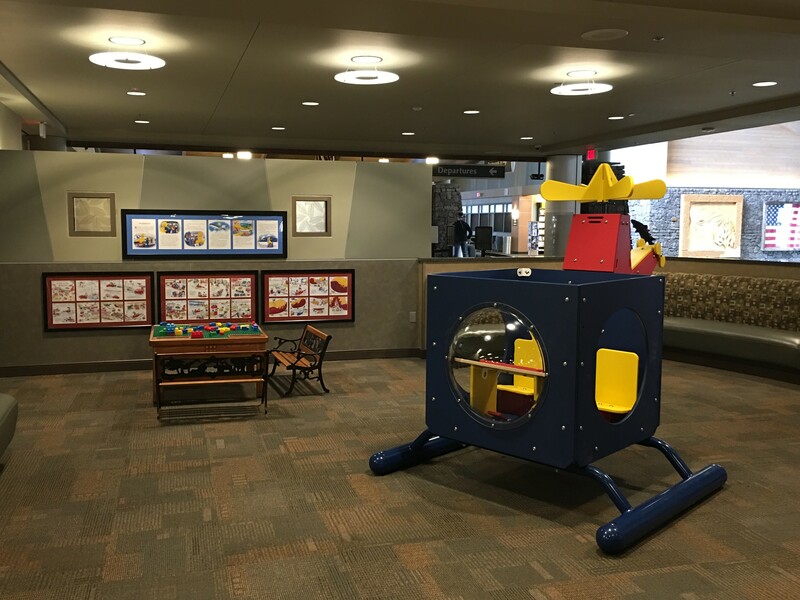 RDM's children's play area features a play structure, large flat screen monitor playing family friendly programming, a Lego Table, and a large cushioned seating area for families to wait comfortably. “Flybrary” It’s a place where books fly off the shelves and hopefully, others land in their place. Many airports across the country are partnering with local libraries to expand reading opportunities for passengers who often have plenty of time on their hands while waiting for a flight. November 2017 will mark the beginning of a new partnership between Redmond Municipal Airport and Deschutes Public Library. Passengers will soon find a collection of books for children and adults as well as information about Deschutes Public Library services and programs on both sides of security at RDM. 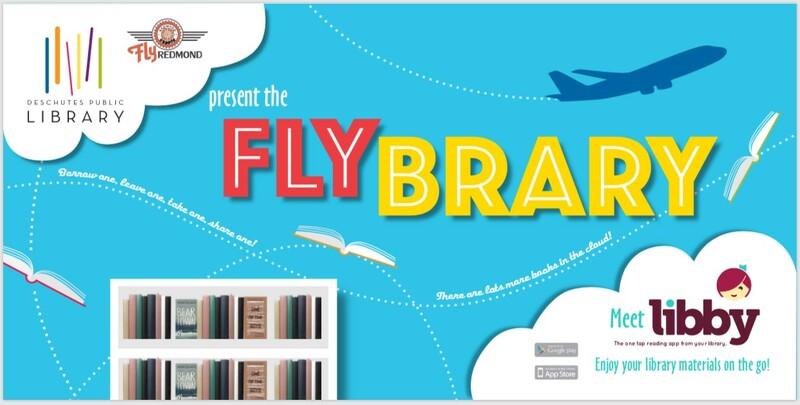 The Flybrary, a Take a Book – Leave a Book free lending library program, will allow RDM visitors to take books at no charge from the Flybrary bookshelves and encourages participants to leave books for others to enjoy. There is no obligation, fee or registration required. The RDM “Flybrary” is a fresh spin on the charitable “pay-it-forward” approach being popularized around the world. With no librarian keeping a watchful eye, the only thing holding travelers to the Flybrary’s rules is their word. The concept is simple. Travelers are encouraged to slide their books on to Flybrary shelves, taking another in its place and tagging it with the Flybrary Book sticker, (writing down where the book has travelled and choosing a new book to enjoy) RDM is hoping that the Flybrary will become a growing collection of literature for all. The airport will fill the first shelves with new and second-hand acquisitions and hopes that the Flybrary, with help from the Deschutes Public Library partnership, will sustain itself. “Seed” books for the RDM “Flybrary” program will be primarily provided by the Deschutes Public Library. 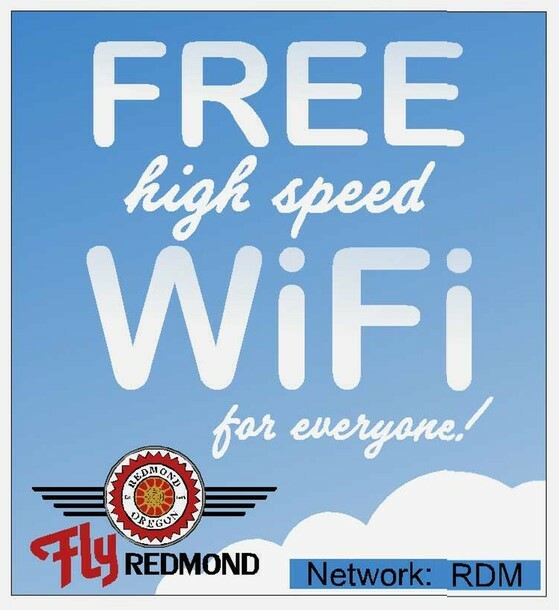 Other books will be provided by The Redmond Airport and RDM partner airline lost and founds. No Library card? Not to Worry, Other public download programs are also available-- and QR codes can be easily scanned to give travelers access to an e-library of more than 15,000 free titles. "Readers can choose from nonfiction, fiction, children's titles, classics and more. Attention event planners, executives, conference organizers, and anyone needing a state-of-the-art meeting room at the Airport. 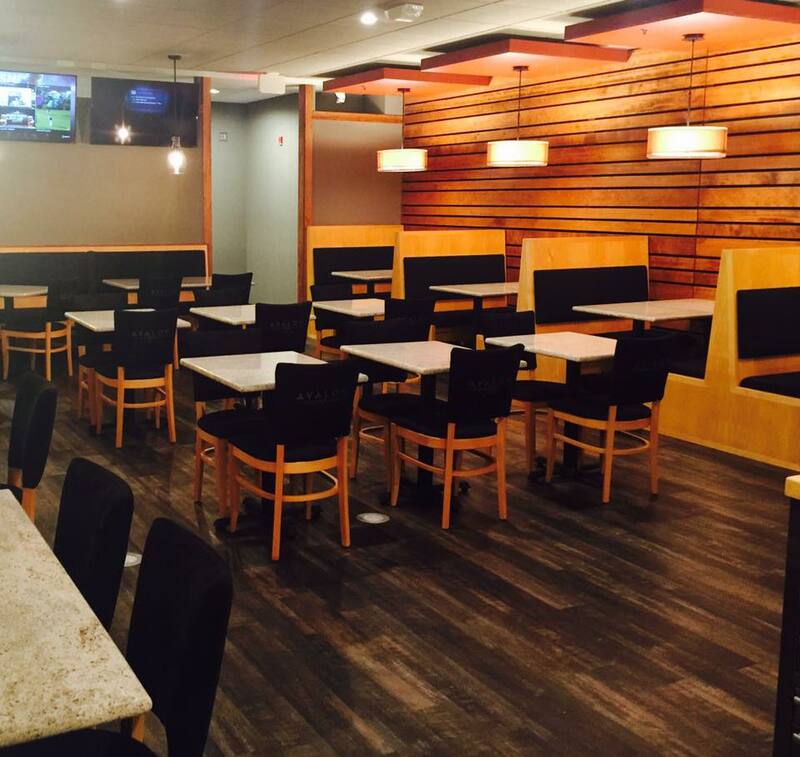 If you are in need of a one time, regular recurring, or last minute meeting space be sure to check our facility. Located in the baggage claim area, next to the rental car counters is the Event Check-In Booth. This booth is located in a highly visible area, offering a convenient point of contact for arriving passengers and for people that are waiting to pick up arriving passengers. Start your event off right! The booth offers a space perfect for collecting and distributing promotional items, as well as event check-in. Promote your company or product! Use this booth as a way to promote your business - put your banner up, set up a raffle, sample your product, etc.